People say they want their golf to be consistent, but I think they really mean predictable. When you swing identically every time, you will have attained that goal. Though we can never do that, we can get close by learning what it means to swing identically. Begin with a simple greenside chip, that has maybe a three-foot backswing. 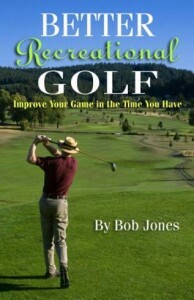 Learn to strike the ball identically every time with that simple stroke. Be very strict when it comes to judging your strike. Identical means similar in every detail, exactly alike. Really close doesn’t count. Is the feeling in your hands that contact makes identical? Is the sound of contact identical? Do you hit just a bit thin or a bit heavy? You know what identical means. The more rigorously you apply the concept to this exercise, the more demanding you are of perfection, you more will get out of it. Big hint: this whole thing is a mental challenge, not a physical one. Generally, the first two or three chips you hit will be identical, because your conscious mind has not gotten engaged yet. But when the thinking mind takes over, trying to hit identical shots, it all falls to pieces. At first, you weren’t trying. You just swing and identicality (now there’s a word!) just happened. The practice is to keep hitting using the unthinking mind that you used at the start, to not let that change. The goal of this exercise is not to make your stroke predictable, but to make your mind predictable. 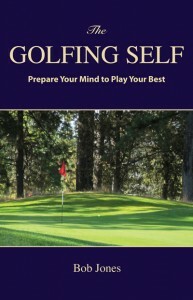 If your mind gets used in the right way, every time, the ball-striking it leads to will be predictable. 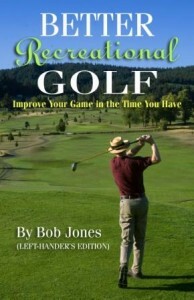 The reason it’s not isn’t because you haven’t hit 10,000 golf balls. It’s because you haven’t trained your mind not to change with every swing. That’s hard to do, but infinitely rewarding when you learn to do it. Previous PostHow to Think About Clubhead SpeedNext PostGotta Know the Rules!